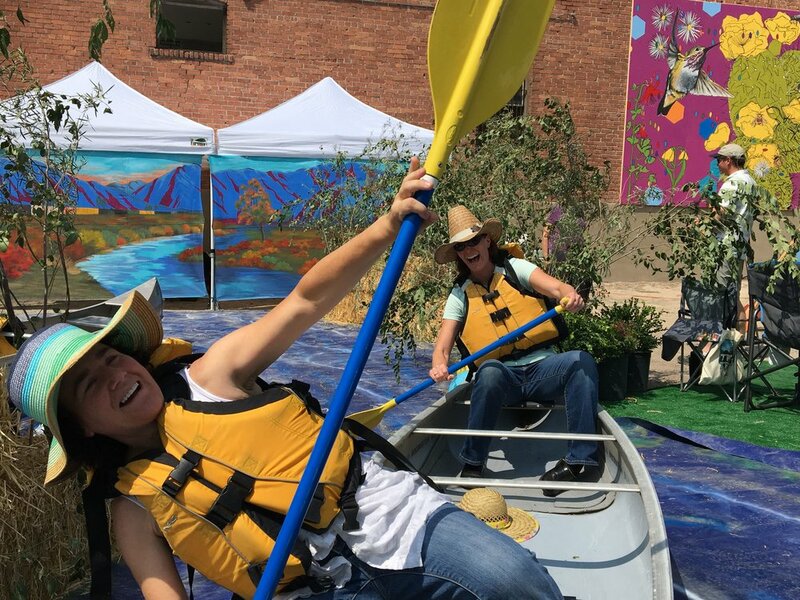 The Pop-Up Park had vendors, food, hydration station, public art, outdoor games, seating, landscaping, and a selfie stop. 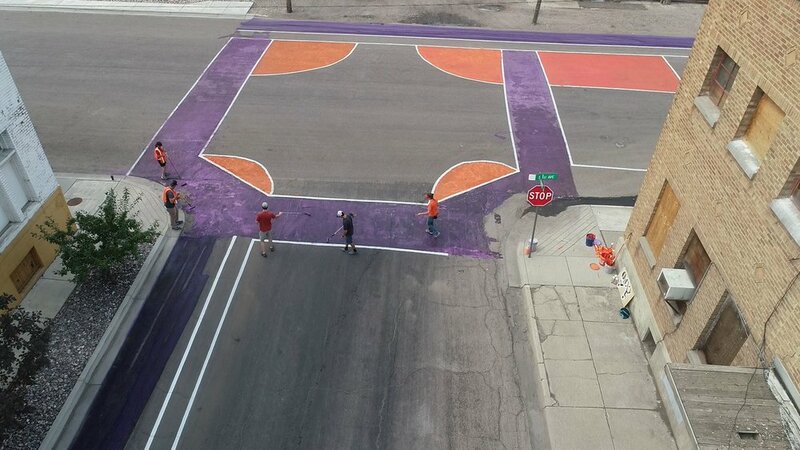 Temporary Public Space Improvements included a 9 block bike/ped path, street narrowing, back-in parking, bulbouts, outdoor dining parklet, landscaping, intersection painting, and ISU logo street art. 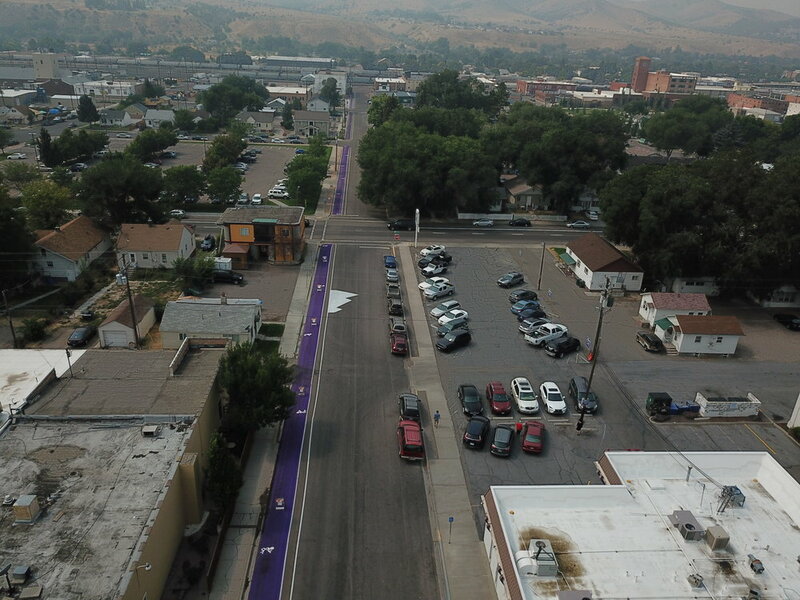 Pocatello hosted the Terry First Build a Better Block event on Saturday, August 25th. In preparation for the build out, there were several ways for the community to participate and influence the project. There was a website terryfirst.com where community members could go to learn about the project and sign up to be a volunteer. The website incorporated some great interactive tools including “Photo Voice Map” where people could share photos that show what they would like that specific area to look like. There was also an “Opportunity Points Map” where they could point out areas that had potential to be improved. In addition, the community members could also take a questionnaire to further voice their opinions pertaining to the project. In mid-September Community Builders and Team Better Block held the first public meeting, attended by 75 people, to kick off the project. The group was split off into smaller groups to focus on Streets and Public Spaces, Art and Beauty, and Pop-up/Programming. The results from this brainstorming session were used to come up with a concept plan for the build out. The volunteer effort was phenomenal for this project! There were about 125 community members and city employees from numerous departments who volunteered their time over the four days leading up to the event to get everything ready. This project was funded through Community Builders who contracted with Team Better Block as the consultant. 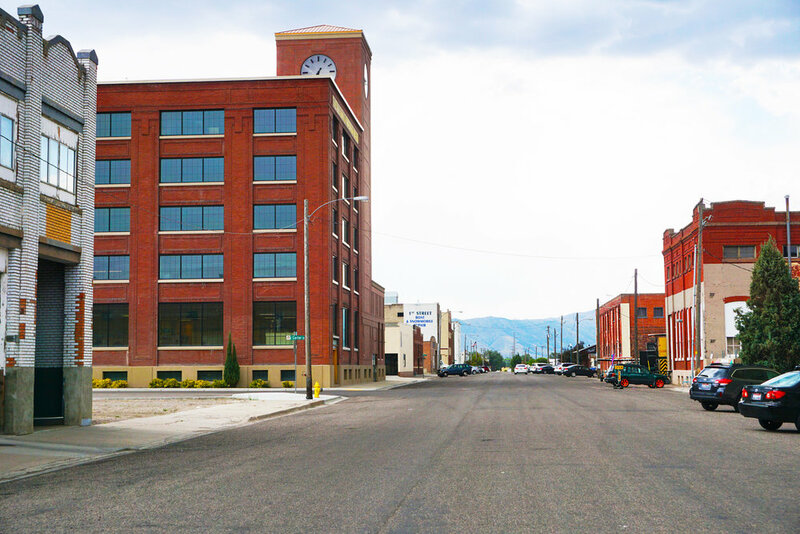 After a successful community event, the City of Pocatello is anxiously awaiting the final report from Team Better Block. The City is identifying low cost improvements that can be accomplished short term as they work toward the long term goal of increasing walkability. Some of these low cost improvements may include a permanent ISU logo and striping updates. The community response from this event has been very positive and the City is excited to move forward with these new ideas. If you would more information about this event or if you are interested in doing a similar event, please contact Maggie Clark- maggieclarkpla@gmail.com.